I don’t do these very often, but sometimes I decide I have something to say. 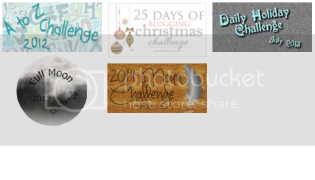 This week’s challenge was about e-mail. As a 90’s kid, I didn’t ever have to write letters, or make phone calls. E-mail was just about always there for me. At summer camp though, I did have to write letters home since we weren’t allowed to have computers or phones. Many of the other campers would sneak phones in anyway, but unlike most teenagers, I can live a few weeks without a phone or computer. After all, when I go on vacation, it’s to get away from technology. Anywho, the challenge was to discuss our opinions on e-mail salutations. Now that we’ve established that I am of the e-mail generation, I will finally get around to my opinions. When I start an email conversation, I generally begin with ‘Hello” and end with ‘hope to hear from you soon’ or ‘thanks’ depending on the content of the e-mail. After I have received a reply, I allow it to become less formal and skip the salutations, but some times keep the ‘thanks’ at the end. It really just depends. As for starting a message with ‘dear,’ I feel that that is much more personal and rarely use it. When I do use it, it is only for a very close friend. I would never start an e-mail to a professor with ‘Dear.’ That just seems so awkward. I think most people my age would probably do the same as me, if they use any salutation at all. It’s interesting to see what different age groups do. What do you do? Comment below! Don’t be shy! 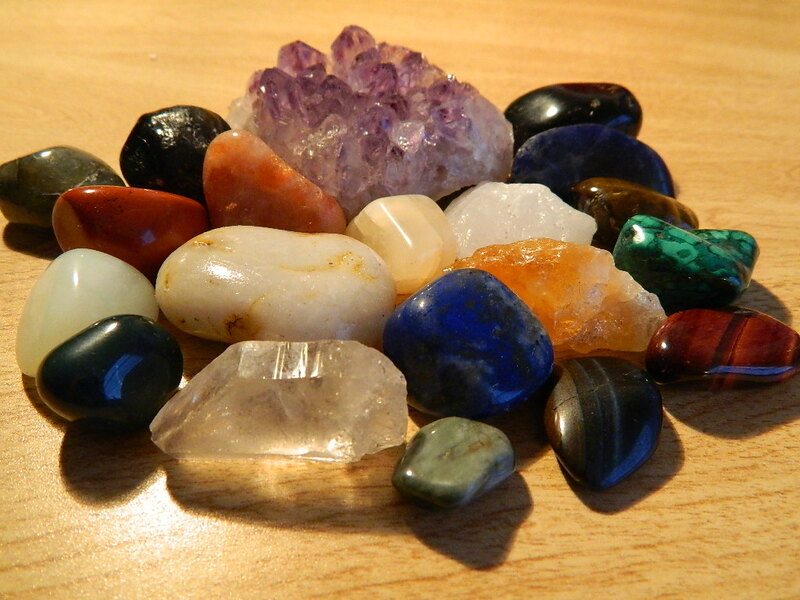 Okay, so aside from family, friends, pets, and technology, my stones are my favorite things. I take them with me everywhere. Well, if I’m just going to class then I don’t. But when I go home for the weekend, I most certainly take them with me. Having attachment to something other than a computer or cellphone can provide comfort and companionship! Some people sleep with stuffed animals so they don’t feel as lonely at night. Some people carry religious objects with them so they feel protected. Some people might have a decoration of some sort displayed in their house that may remind them of a relative, or favorite childhood memory. In any case, having attachment to an object sort of makes life a little more interesting. Anywho, in this pile I have: Labradorite, Red Jasper, Apache Tears, Sunstone, Moonstone, Onyx, Sodalite, Tigereye, Red Tigereye, Blue Tigereye, Citrine, Lapis Lazuli, Crystal Quartz, and a few others that I’m not sure what they are but I love them anyway. I know this was kind of short for a writing challenge but I have a lot of work to do. So, as you can see, I’ve decided to do this challenge. Here we go! I’m just going to throw this out there. I’m not a sports fan. I don’t watch football games. I don’t keep up with Basketball or Hockey either. Why? Because I don’t care. To me, it’s just a bunch of fully clothed sweaty men running around a field. And in football’s case, just a bunch of people smashing into each other. To make it worse, they think it’s okay, because they are wearing a helmet. Now, I have absolutely nothing against the people who play it, or the people who watch it. I do have a problem with the fans who become violent over it. And the people who can’t be friends during a particular season because they like different teams. That’s ridiculous. I do enjoy playing a sport in a non-competitive way though. Playing a sport, and watching it, are two completely different things. Watching someone you know play a sport and watching a bunch of paid professionals that you don’t know through a television screen, are also two very different things. I’m already off topic. I’m going to talk about social media’s effect on my opinion of the Olympics. I used to like watching the Olympics. It’s more than just a bunch of sports. It’ s athletes competing to win medals for their country. It’s sports, but different. This year however, I was already sick of hearing about it before it even started. In the two years since the last Winter Olympics, Social Media and Networking sites have really picked up. Twitter’s popularity exploded in the summer of 2010, after the last Olympics. With Twitter, and other social Networking sites being so popular during this years Olympic games, It seemed to be all you ever heard about. Not to mention it was the only thing on the news. Real news seems to have become less important than sports and celebrity gossip in recent years. Now that we have this international athletic competition, real news is completely irrelevant. No one cares about the suicide bombings in Iraq, or the missing little girl in London. The only thing people want to hear about is who won a medal for being the best at their sport. To me, finding that little girl is slightly more important than who won the gymnastics gold. Not that the first black gymnast to win the gold isn’t important as well. Congrats to Gabby Douglas. But we have no balance between what is truly news, and what is entertainment news. I think the lack of balance and having the Olympic news shoved in my face by twitter, and other forms of social media, made the Olympics more of a burden rather than and enjoyable event. It turned out to be just as annoying as the Superbowl. I’m glad that it’s over and we can get back to our lives. Unfortunately, we have Shark week now. I don’t even know what that is and I’m already annoyed with it. People need to stop obsessing over these things. Educate yourselves about real things and obsess over that.